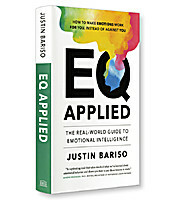 In EQ Applied, Justin Bariso brings the concept of emotional intelligence up to date and into the real world, combining scientific research with high-profile examples and personal stories. 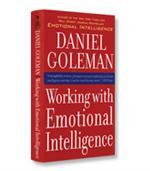 Learn how to control your emotional reactions, break bad habits and escape emotional hijacks. Bariso helps you to learn how to make emotions work for you, instead of against you. Emotional intelligence (EQ) became a hot topic as soon as Daniel Goleman introduced the concept back in 1995. 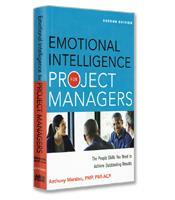 The notion that understanding and managing emotions was as critical to success as any other leadership skill became a business phenomenon, launching thousands of books, articles and training programs. In his new book, EQ Applied: The Real-World Guide to Emotional Intelligence, Justin Bariso offers a fresh perspective on all of the material written in the last two decades. Rather than focusing on the psychology of EQ –– the why –– this book focuses on the how. The author proposes that the inherent integrity of EQ has been eroded by the propensity of social media to present a post-truth environment, “where appeals to emotion and personal belief have become more influential than objective facts.” In this context, emotional intelligence, much like traditional intelligence, can be used to influence and manipulate for unethical purposes. 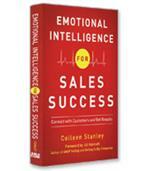 Self-awareness: the ability to identify and understand your emotions and how they affect you. 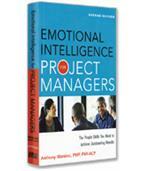 Self-management: the ability to control your emotional reactions to external stimuli through self-control. Social awareness: how to perceive the feelings of others. Relationship management: the ability to influence others through communication and behavior. Bariso argues that all four abilities are interconnected and complementary. He also emphasizes that you should not expect to excel at all of them. Your goal, therefore, should be to develop a strategy to leverage your strengths and minimize your weaknesses. Cognitive empathy: understanding how people feel and what they might be thinking. Emotional empathy: sharing the feelings of another person. Compassionate empathy: the capacity to act in order to help however you can. Bariso proposes that the journey from comprehension of EQ to the practical application of the skills necessary to be successful are aligned to your growth in these three categories of empathy. Cognitive empathy takes you out of your own head and reorients your perspective towards what the other person may be going through. Increased competence makes you a better communicator since you relay information within a shared framework. Emotional empathy builds on that comprehension of the other person’s feelings to a point where you are able to convey that you share those feelings –– often described as “your pain in my heart.” This level of empathy supports the development of trust based on strong emotional connections. Compassionate empathy, also known as empathic concern, represents the most proactive element of emotional intelligence. You are moved to reach out and help in some way that correlates with the emotional connection you have built. For a personal friend, it may be something as simple as helping out with chores for a frazzled new mom. In the work environment, it may be an offer to take some project tasks off an already overflowing plate. EQ Applied takes a no-nonsense approach to emotional intelligence, favoring practical tools and exercises over long theoretical discussions. Personal stories and high-profile examples present real-world advice on how to better manage your own emotions, move past resentment and develop your more authentic self.